The act of taking care of your skin seems to be a prevalent practice these days. And as well, it should be. With natural aging, the sun’s UV rays and even our daily water intake all being factors in how well our skin is kept, it’s important to remember that our body’s largest organ needs its attention. There are, of course, some things that regular skin care practices, such as using sunscreen and drinking water, can’t fix forever. Aging is a part of everyone’s lives and in some cases, people develop wrinkles a lot quicker than others. For many, this is something that weighs heavily on their self-esteems and overall happiness. As a result, one of the most popular procedures in the world of skin treatments is BOTOX ® Cosmetic. 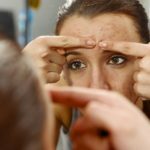 Chances are that BOTOX ® is the one type of cosmetic procedure that you have heard about outside of this blog. This is, perhaps, due to the fact that BOTOX ® has become known around the world as a wondrous solution to a number of skin conditions. 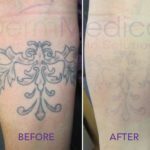 They include the smoothing out of wrinkles and frown lines as well as the elimination of hyperhidrosis or excessive sweating. How can BOTOX ® possibly aid two entirely different conditions? Well, this and other questions have become so common that DermMedica has dedicated a blogging site to BOTOX ® so you can learn a whole lot more about it! “If I could be smooth and fit, I’d have it all,” I once heard one of my friends say. Being overweight is another widespread reason that many people are self-conscious about their appearances. This same friend insists that she has tried numerous diets that “never work”, so she has become frustrated with her attempts to slim down. The fact that she is joined by countless others who feel the same way is why CoolSculpting™ has also become a top skin care clinic procedure. Its popularity is only growing as a number of talk shows have had medical professionals on as guests to discuss the wonders of this fat-burning treatment, in recent months. Do you suffer from muffin tops, bra bulges or protruding love handles? Well, CoolSculpting™ just may be the treatment for you. What is making this technique so popular is that it is a non-surgical alternative to procedures like liposuction. That means there are no incisions, anesthesia or downtime involved! Instead, patients are suited with a contouring device that cools down unwanted fat deposits in the tummy and waist area. This breaks down the fat cells that are then naturally removed from the body. The end result is a reduction in fat that produces a leaner, fitter figure!